You just got done with your grandchildren at the park where you love lifting them up onto the monkey bars and catching them at the bottom the slide. 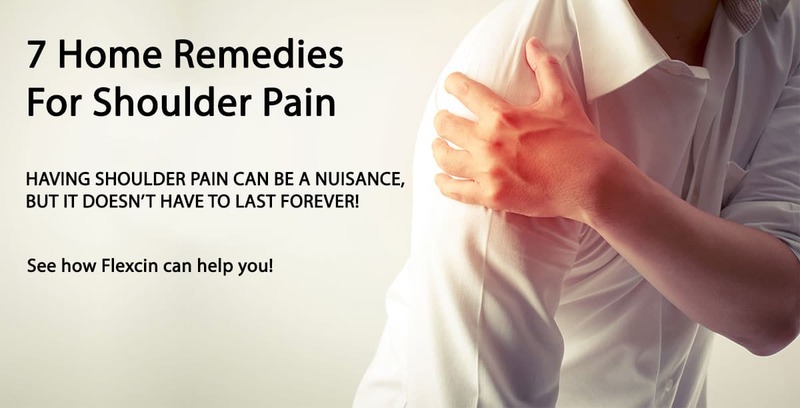 Coming in from the cold, you can’t help but notice that nagging achy shoulder pain. You’ve been ignoring it for a few months, but now it’s so prominent that it must be dealt with. Making an appointment with your doctor should be on your to-do list, but how can you relieve your shoulder pain right now? 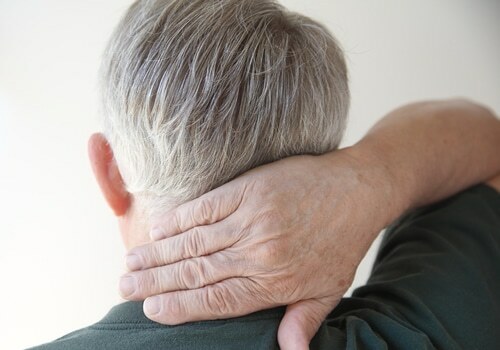 To help you get immediate relief, we’ve complied a list of 7 home remedies for shoulder pain. 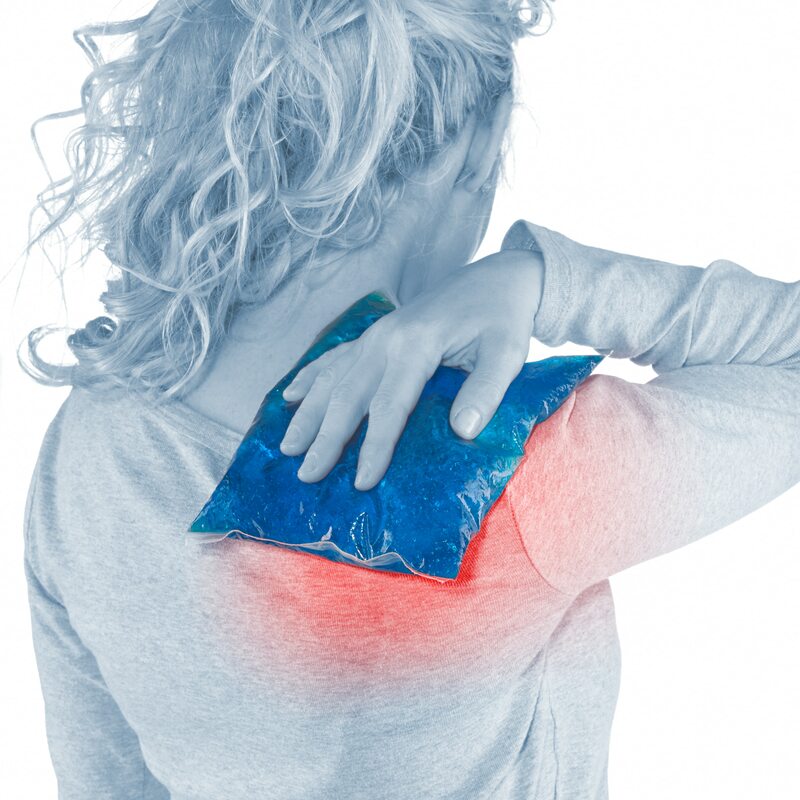 Generally speaking, shoulder pain is caused by inflammation of the tendons and ice is a natural remedy for inflammation. Ice brings relief by slowing down blood flow to the area. Apply ice to your hurt shoulder for 20 minutes and try to keep it elevated. Additionally, it’s a good idea to keep your hand behind your back because when the hand is behind the back the rotator cuff tendons come out from hiding underneath the shoulder bone. You can ice your sore shoulder 3 to 4 times a day. Keeping your elbow at your side when you have shoulder pain gives your shoulder a break. Using an arm sling or arm rest can be helpful for extreme pain, but are not recommended for an extended period of time. Shoulder pain is often caused by neck problems. The shoulders and neck are closely connected and have an impact on each other. Some gentle neck stretches can help and are easily done at home. Getting rid of old pillows and mattresses can aid in decreasing neck and shoulder pain; new, thick pillow should provide more support. Getting to the root of your shoulder pain is key in helping get rid of it. Stress may be contributing to your pain. First try to give your shoulder a break from exercise and overbearing weight. Next try to review your daily habits such as posture, sleep positions, and other motions that may impact shoulder pain. Playing itsy bitsy spider is a gentle exercise that can help strengthen your shoulder and restore range of motion. Stand facing the wall and slowly crawl your hand up the wall like a spider. Keep your movements slow and controlled within the joint’s natural range of motion. The muscles between your shoulders are called your rhomboids. They are essential for normal shoulder movements. Strong rhomboid muscles help hold your shoulders back, help support the weight of your arm, and enable you to reach, push, and pull effectively. Next time you are heading out with your grandchildren, use a heating pad to warm your shoulder, or do some gentle exercises. This will warm up your muscles for more exercise and increase circulation. Having shoulder pain can be a nuisance, but it doesn’t have to last forever or keep you from doing your favorite activities, like enjoying the park with your grandkids. The first step in relieving your shoulder pain is to try some of these easy home remedies when you start to ache. We also recommend seeing your doctor if the pain worsens, as well as incorporating an all natural joint supplement into your daily diet. 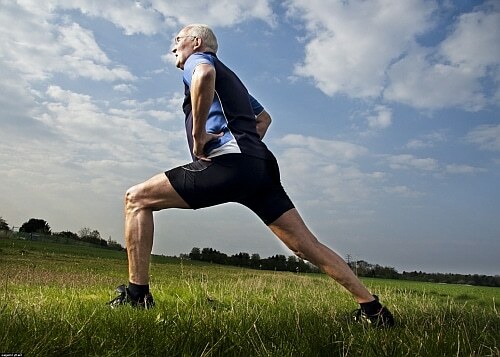 Joint supplements can help relieve inflammation, reduce pain levels, and boost overall joint health. Having Trouble Choosing a Product? Motion Lotion is a great topical lotion that is applied to help manage the pain while our Load-up kicks in. 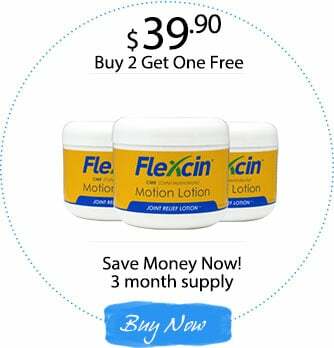 The Motion Lotion is a great complement to the Flexcin capsules. Load-up is our strongest formula to load your system with our special blend of CM8. It contains the same powerful ingredients as our other formulas, just in higher concentrations to provide fast relief by “loading up” your system. 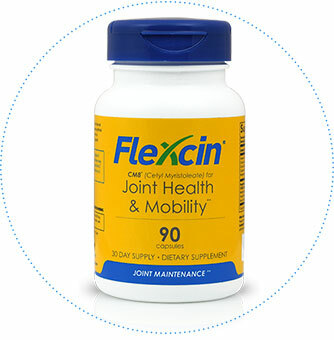 The Joint Maintenance Formula is designed to promote long term joint health by supporting stronger cartilage, lubricating joints, and reducing inflammation. 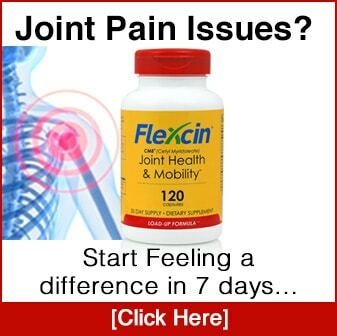 Take daily dosages for mainting joint health for years to come! Justin Check is an NCSA certified personal trainer & fitness nutritionist, and the owner/operator of Check Total Health. He has over 8 years in the health and fitness industry, and is an advocate of natural supplements in conjunction with proper diet and exercise in order to help people attain the highest quality of life possible.Justin can be found at www.check-yourself.com. Abby Kay, Sorry I don’t have a good answer for you. Maybe you can try asking for help from someone such as a grandparent, other family member, school teacher, counselor or school doctor. (You may not be in school in the summer but you might be able to call the school and ask for their help finding out what options you may have.) Also local medical clinics may be able to suggest possible solutions or who to talk to. If they refer you to your parents you can explain the situation. Your parents may be concerned about the cost or believe it is something that will just pass so you may have to take action yourself (find a professional who can help you and tell them what you stated above). There may be some government or church program that will help you out and cover the cost. ‘The squeaky wheel gets the grease.’ is a saying that means let the problem be known (repeatedly) and that will eventually make it a priority. Let people (whomever may eventually help you) know you are searching for solutions on the internet and what solutions you are finding and what additional help you need to repair your body. Are you talking specifically about lifting weights? (We do have customers that have problems just lifting objects and experiencing soreness, as well as people who lift weights competitively). If you are talking about intense workouts, we recommend Flexicus (www.flexicus.com). 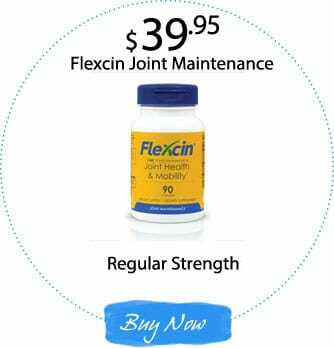 Flexicus is similar to Flexcin but is designed for the serious athlete with a higher concentrated formula. Check it out! And please let us know if you have any further questions. Thanks! My right shoulder and lower arm pain me every night. I have to apply heat pad or warm water to stop the pain. My doctor don’t have the answer. I am trying to find the time to exercise. What’s the solution. I am basically a healthy person with no other issues but nowadays feel too much tired if there is any variation in my routine. Feel the pain in my upper back. I liked the cool ideas you have shared here. I am pretty sure these ideas will help me to keep my self away from the unusual pain. Thank you for the cool stuff and keep sharing. I’m on crutches due to knee surgery. I have no pectoral muscle in my chest and under my right arm. So it’s difficult to walk with the crutches. It’s caused a lot of pain in my shoulder. I’ve tried ice and taking anti inflammatory but it’s jusy not helping. It aches in my shoulder down to my elbow. Can this product relieve my pain even if it’s to 1/2 the pain I have now will be good. Well, it’s hard to know for sure what the cause of the problem is here. Flexcin does have a money back guarantee, so if you try it and it doesn’t work, you can certainly send back the empty bottles for a full refund of the purchase price. 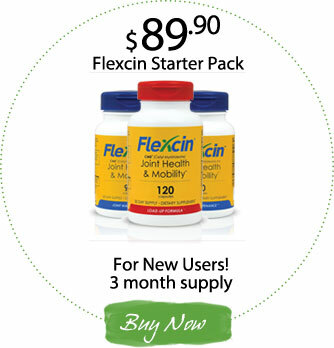 Flexcin is primarily for joint pain and works as an anti-inflammatory, pain reliever, and lubricant, as well as helps to rebuild healthy cartilage. We do have customers that take it after knee surgery to help with the recovery. As far as the shoulder from the crutches, we can’t say for sure because it’s hard to tell the nature of what may be the cause of the pain. It may be worth trying for a month, see if there’s a difference, and if not, you can return the product for a refund. Also note that this is a natural supplement, which is a bit different from a drug. A prescription drug or OTC like ibuprofen may have a pretty quick effect. Natural supplements do take a little more time, typically 2-4 weeks (which is why we recommend trying for a full month before fully evaluating). My husband right shoulder hurt badly. He cant really move around due to the pain he get when he moves it a current way. I dont know if it could be cause he a palm trimmer. We dont know what to do. I feel pain in my shoulder. I do all of this but none of them relief my pain. Hi my fiancee is having shoulder pain. Every since this morning and has a diabetic, he already takes extra strength tylenol PM for pain. he won’t listen to me. I told him to ice it. I have very Bad Pain in both my shoulders. It is not muscular it seems to be in the bone. Sometimes I forget myself and stretch out to fetch something and I let a roar with pain. I had a Bypass 2 years ago and I cannot take anti inflamatories anymore. I have tried everthing exercise of all kinds and it just wont go away. I cannot lift my Grandson who is an infant. The statements on this website have not been evaluated by the Food and Drug Administration. This product is not intended to diagnose, treat, cure, or prevent any disease. New Customer Offer Extended Through Today!